Watch: Arsenal star Pierre-Emerick Aubemayeng assigned new position? Home / Sports / Watch: Misfiring Arsenal forward Pierre-Emerick Aubemayeng assigned new position? Watch: Misfiring Arsenal forward Pierre-Emerick Aubemayeng assigned new position? The Gabonese striker is struggling for goals at the moment. 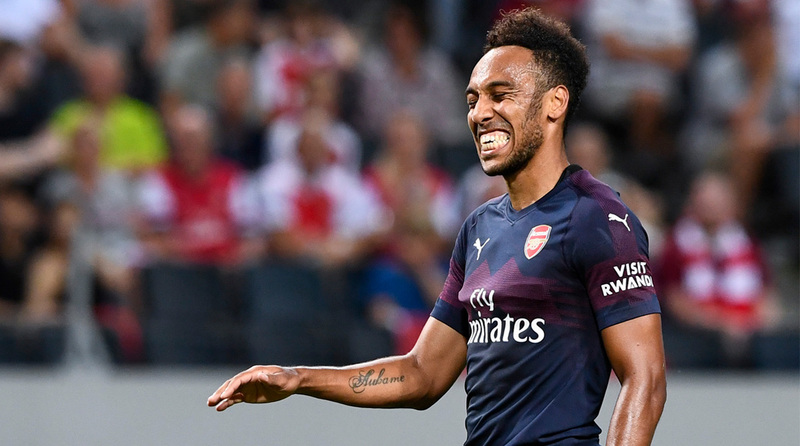 Pierre-Emerick Aubameyang may be struggling for goals at the moment but it appears the Arsenal forward’s social game is as strong as ever for his latest Twitter post has sent Gunners fans into peals of laughter. The Gabonese is stil scoreless after three games into the Premier League season, but his sense of humour is still intact and fans will take that as a good sign ahead of the final club game before the international break. Some good saves, but surely Petr Cech and Bernd Leno’s jobs are safe? On a serious note, Aubameyang could be assigned a new position when Cardiff City pay the Gunners a visit for a Premier League clash on Saturday. So far, the former Borussia Dortmund man has been starting at the apex of a 4-2-3-1 formation for the North Londoners, but with his poor form in front of goal, he could be shunted out wide for the next game. Alexandre Lacazette has looked sharp coming off the bench, but with Unai Emery unwilling to play a 4-4-2, Aubameyang’s could be asked to play on the left, as he did last season. Among the fastest players in world football, if not the fastest, Aubameyang is versatile enough to play on the flank and could cut in from the left to shoot from his favoured right foot. While fans are worried about his lack of form this season, the Gabonese was prolific since signing for the Gunners in January for the second-half of the 2017-18 campaign. And sooner, rather than later will be among the goals again. The Gunners have made an underwhelming start to the season as well, losing their first tow games to Manchester City and Chelsea respectively, but they did halt the slide by seeing of London rivals West Ham United on the weekend.